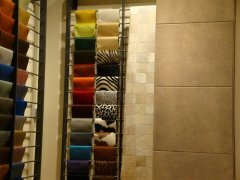 We are experienced in working with textiles of all sorts and also with brushed aluminium, stainless steel, hardwoods, mirrors and chrome. 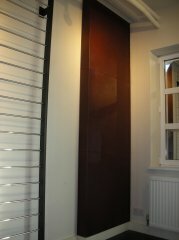 Now we have added leather panels to our large range of finish materials and we have chosen Edelman Leather as our primary supplier. 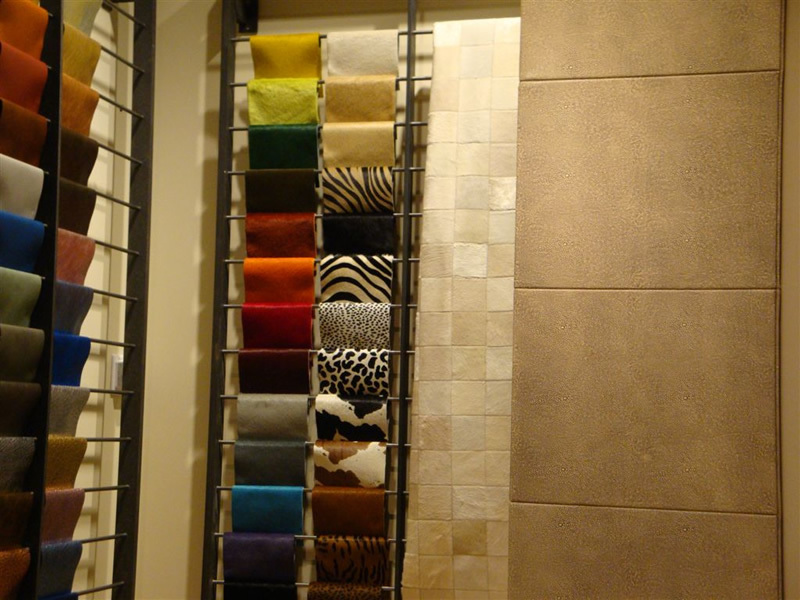 The quality of Edelman’s luxury leather for interiors is unsurpassed and the range of colours and finishes unmatched. Please ensure that leather finishes do not exceed 1.2mm in thickness. 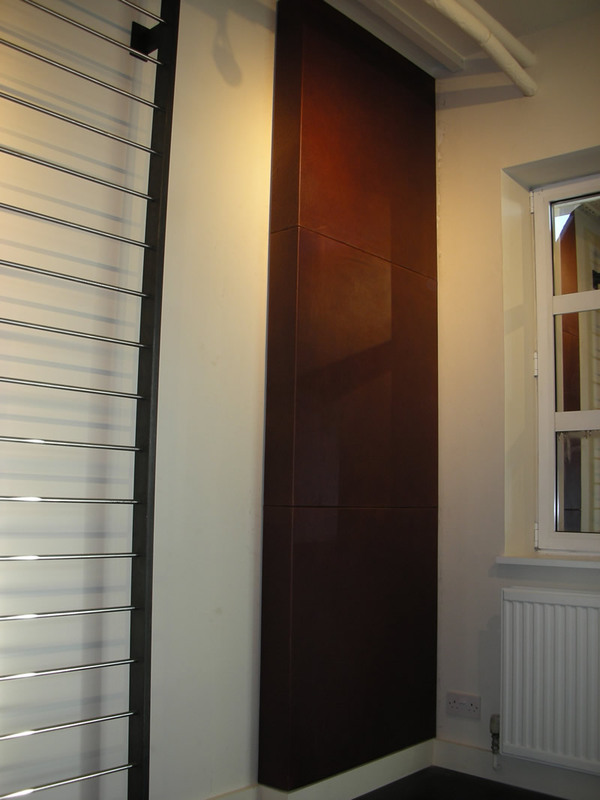 A column return and a door face have been fabricated with various leathers in the showroom, utilising our Whisper Walls depth 23mm Square system.